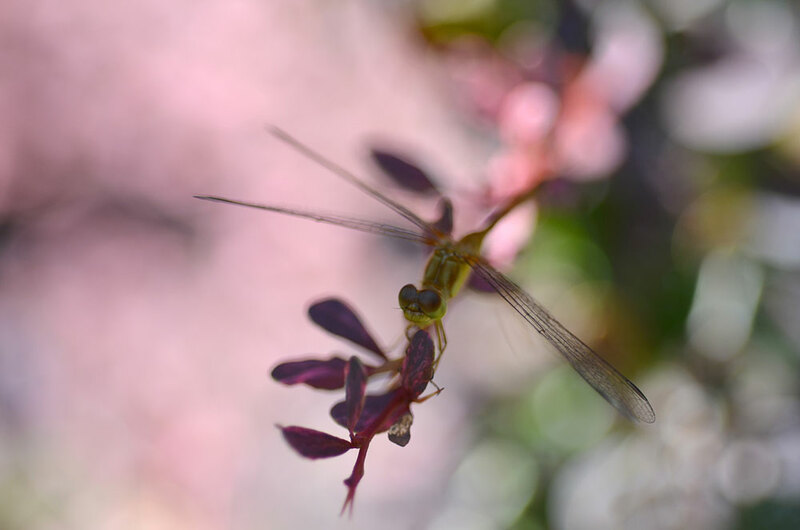 The dragonflies have been amazing this year. I don’t think I’ve ever seen so many. In fact, as I sit writing this post I can see them flitting around outside my window. They have been gathering on the sun drenched bushes and shrubs allowing me to observe them rather closely (I’d venture to say that they are willing collaborators, one of them even perched on my nose for a while …). Mostly they are a yellow-green colour but there are a few other types, too, and they are all fascinating up close. 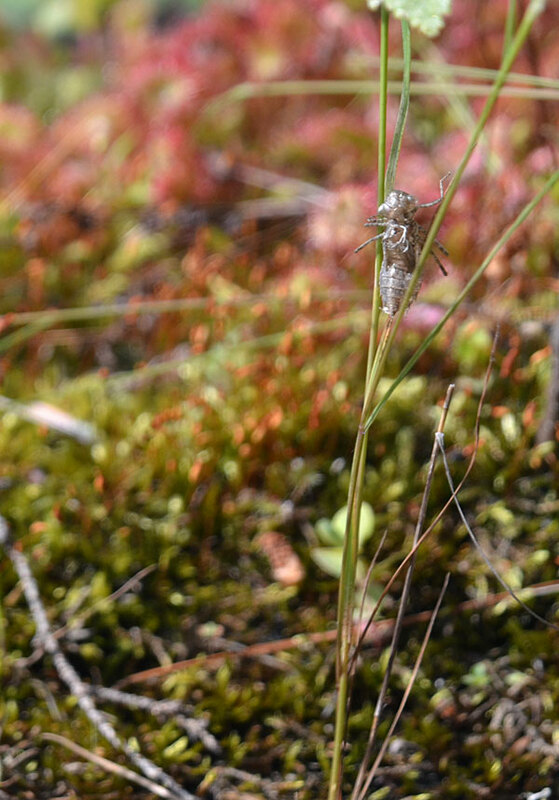 When we were canoe camping in Killarney a couple of weeks ago I saw a several cast off larval skins from dragonflies and here is one pictured below. 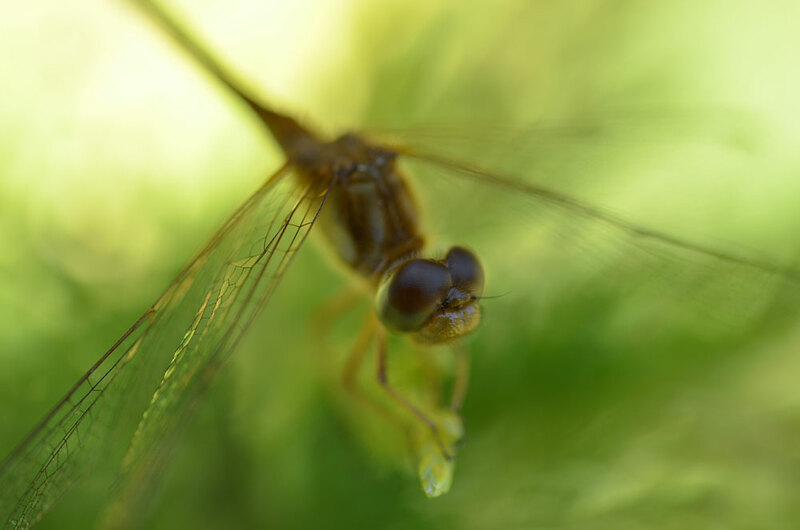 Dragonflies in their larval stage live underwater and when they are ready to metamorphose into adults they climb out of the water on an available reed or water plant and go through the process of emerging from their old skin. Near the shed skin was this poor dragonfly caught in some sticky carnivorous sundews (Drosera). Sundews are rather beautiful, I will have to head to the bog one day and see if I can find some locally. Thanks, Hanno. 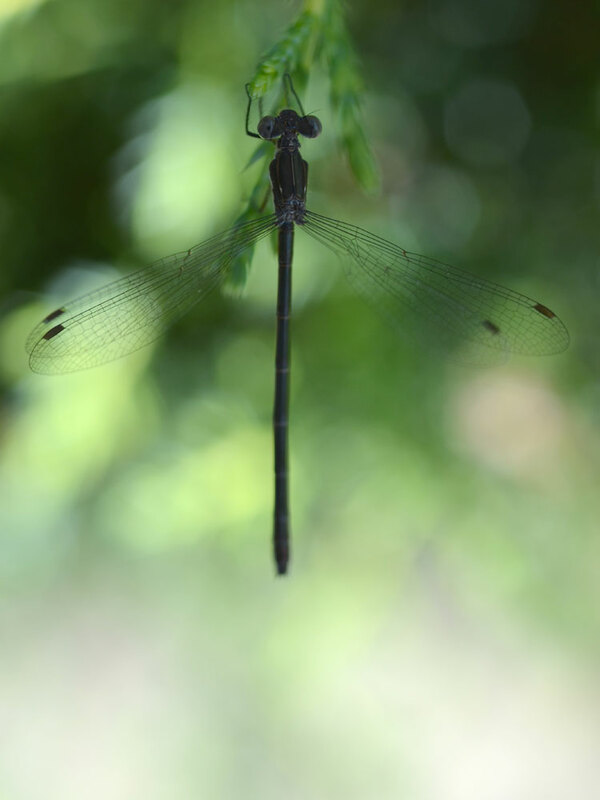 The dragonflies were very obliging. 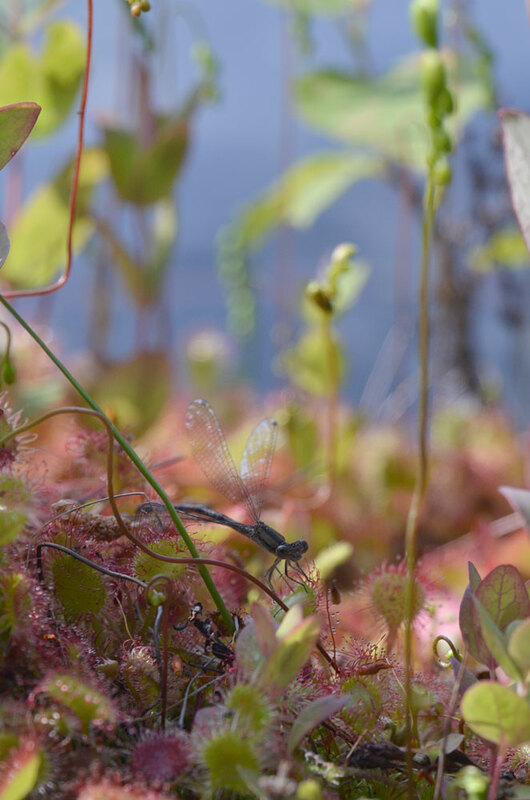 Oh, they are all taken with a macro lens except the larval shell and the dragonfly in the sundews – I guess I should clarify that. Thanks, Polly, the dragonflies were pretty cool! A magical, secret world seen through your lens. So beautiful Karen! They are pretty magical looking up close. Superb images Karen. I love your relationship with your subject. Thanks Louis, they are charmers for sure. …this micro sensitive word that you see and capture… it´s so moving and beautiful!! Thank you, Karen! What a lovely response, Kari. Thank you I’m glad you find this small world captivating too. ..it is precious!! thank you! Fabulous little guys caught like no one else can capture. Simply marvelous! Thanks ever so much, Elena, have a great weekend! Such heavenly colours.. so hard to get them to keep still so especially well done ! They were strangely cooperative for some reason, I was within centimeters of some of them. Thanks, Helen, they were a joy to photograph. I am told a good time is early in the morning when they still have dew on them and can’t move 😉 never managed to find any yet! Fascinating and beautiful photographs, Karen. We have some rather large dragonflies right now; the time must be right. I love those closeup shots. The other thing I found fascinating were the sundews; I had no idea they were in Killarney. Yes, sundews are so cool, aren’t they? I’m sure there are probably some growing in the bogs too. I’ll have to see because I was kicking myself I didn’t have a macro lens with me when I found them. Dragonfly is hard to photograph, as they are not after honey like butterfly. You must be there as a part of nature. Well done Karen. I’m not sure why they were so cooperative, it made me very happy, anyway! Thanks , Yoshizen. Wouldn’t it be awesome to see a tiny human riding one of them, wielding a spear made out of a grass stem? Don’t get too close . . . They’ll poke your eye out! 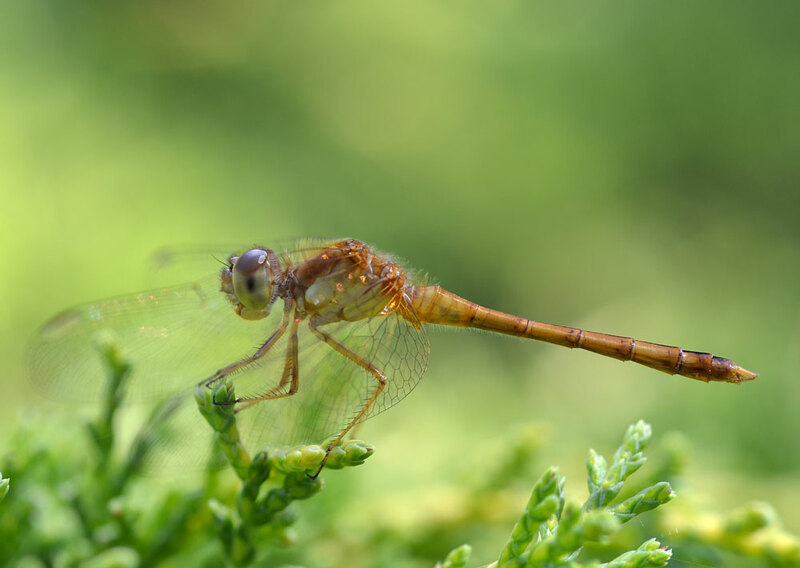 Yours dragonflies are different, of course. And vey good, Karen. Hi Bente, there are many kinds here, too. These ones were the least shy ones I have happily come across. It’s such a pleasure to see your work, always. The softer focus is refreshing. You present the insects like they’re beasts from another planet. And how lucky to see sundews in the wild, not in some conservatory. That shot has really nice scale, and colors. Thanks so very much. they do looks like creatures from another planet, don’t they? Yes, the sundews are so cool. I was glad to spot them. Lovely photos Karen. 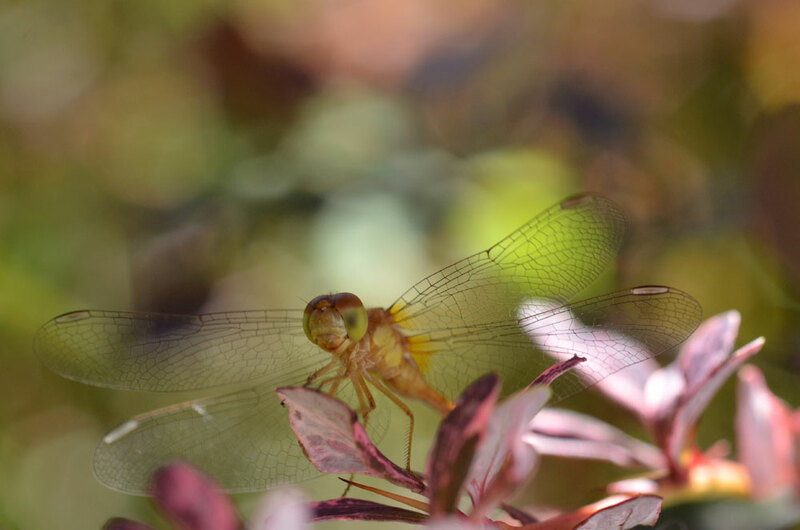 The pattern in the dragonfly wings is echoed in some of the petals/leaves they are on. 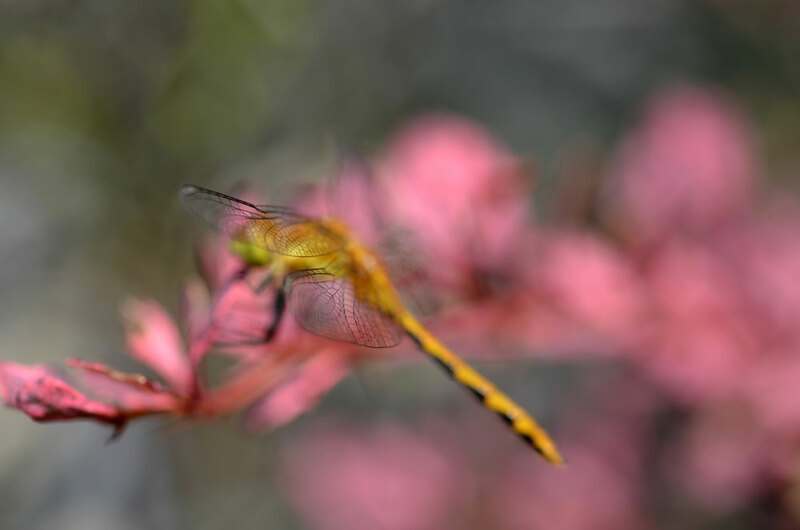 I especially liked the one on the sundew, the delicacy of both the dragonfly and the plant work so well together, and the colours are so redolent of summer. Thanks for your lovely comments, Anna! I love those colours, too – a sense of summer for sure. It’s my favorite subject of this summer.very attractive photos. They are most worthy subjects! Thank you, Mia. Beautiful images. 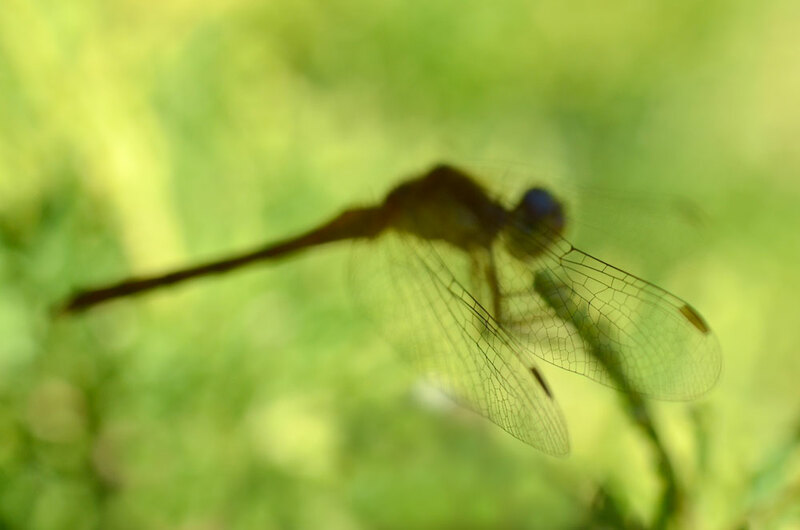 Dragonflies are great subjects (when they are motionless and you can get a shot). Thank you, Vicki. Yes, they are fast movers, but these ones were most cooperative for some reason! I think they just like the paparazzi! Beautiful set. I especially like the third one. So dreamy. One could easily get lost there. Between the Drosera and the reeds. Your photos reveals the intimate and intense sensation of laying there, watching these beautiful critters coming and going. Magnificent images, Karen. The precious life of a photographer. Ah, a lovely comment, Anette. Much thanks for your kind thoughts. They really do look like they were posing for you. 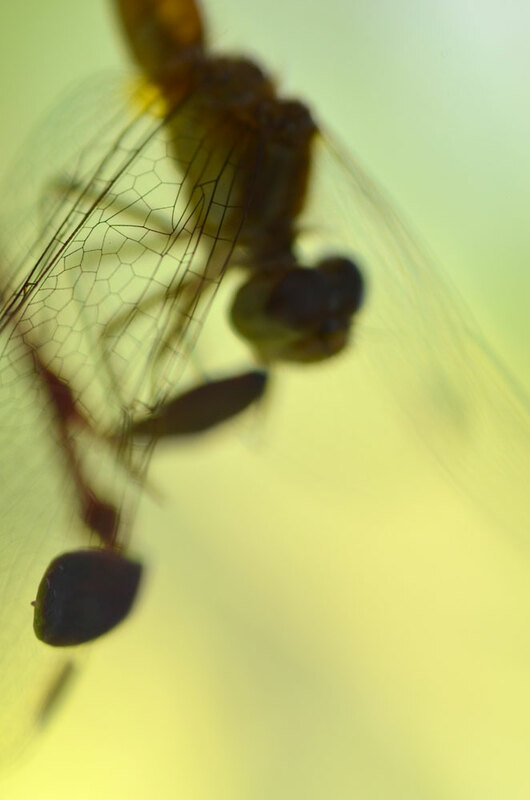 Wonderful shots on the edge of shedding their skins and becoming music and poetry. I think they were posing! Thnaks for your comments, Richard – I’m glad you like them. Beautiful!!! Specially the last one and the one with the silliout of the wings (? Sorry I’m from The Netherlands. My English isn’t very good)! Thanks, Iris. They are charmers! Où au nom de l’éphémère , ces dragons oeuvrent en mesure. Quelle Peom exquisites. Vos paroles sont toujours appréciés. Exquisite set of photos! 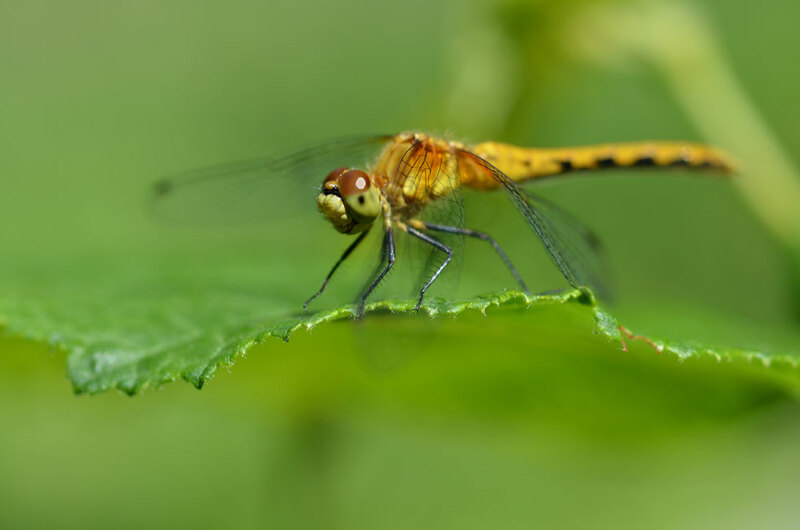 I love dragonflies, I find them at my village, by the river. We call them livelouli. I like that name for them, Vassilis. Thanks so much, they seemed happy to allow me into their small world. They are wonderful creatures. I’m glad you like the pictures, Adrian. Thank you! I usually find them hard to photograph also, but these guys were amazing! Thanks, Inga. absolutely wonderful pictures, magical and other-worldly in fact. You know, the last time I saw dragonfly in Ireland was also down the SW, in the almost deserted grounds of big house outside of Skibereen. I remember them as a boy around Wicklow, (Or think I do, seem to recall them) but I wonder if we even have them in the east of the country anymore. I haven’t seen them here anyway, not for years now. Or maybe I just spend too much time in Dublin town! 😦 Anyway, thank you, these are super. Thanks for your thoughts, Arranq. 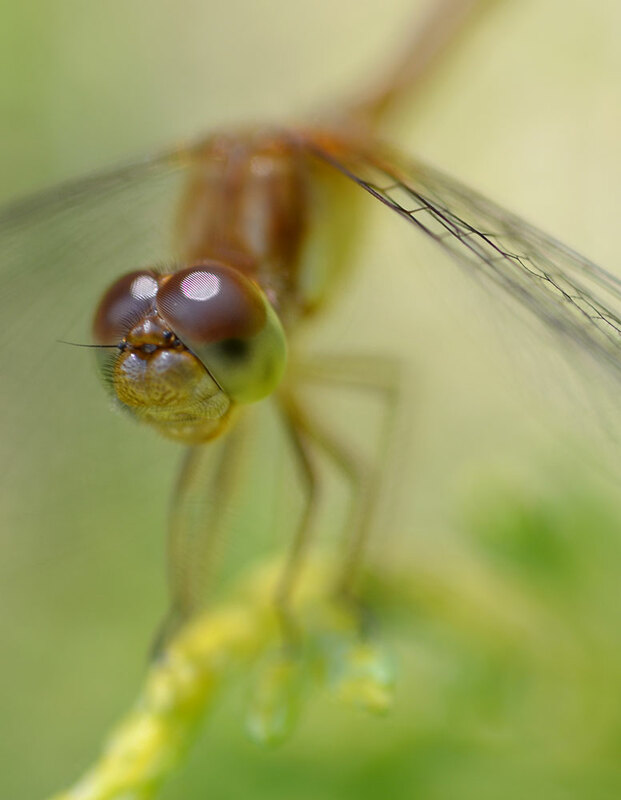 I would be happy to send you some mosquitoes if you think it would up your dragonfly population…? Thanks, very much Adrian. I like the way you perceive it! These are lovely, and so difficult to take. You must be very patient! These guys are particularly friendly for some reason. Yesterday morning when I walked out the door one landed on my hand! Love this! These are some really amazing images. The photos are so intimate I feel like I know them l love the lines of the transparent wing. They did allow me to be very much in their space. Intimate is a lovely description, Carla. I like that description. Thank you. I really like the first photograph. It’s as if he’s saying “hi”. I have so enjoyed reading and seeing the photographs from your previous posts. Sorry that I haven’t commented much lately, the baby and Henry are keeping me way busy but I still keep up w/ your posts when I’m nursing Oliver or have a few minutes to myself. Your posts always awash me with a sense of peace and awe. Hope your summer is going well! Yes, you must be so busy! Best wishes to you and the little ones. I was at the air and space museum here in NYC and while I was supposed to be looking at the billion dollars worth of military history, I got really distracted by a dragonfly. I probably studied it while it perched on a wire for twenty full minutes. I was the only one. Thank you, I really enjoyed this wonderful post- the penultimate shot is just stunning. was this one taken from a canoe?? Thanks very much, Martine. Just two of the photographs were made whilst in a canoe: the 10th and 11th images, so yes, it was!